2-Bay Dipole Antenna is US$ 1288. 4-Bay Dipole Antenna is US$ 2577. 6-Bay Dipole Antenna is US$ 3865. 8-Bay Dipole Antenna is US$ 5154. 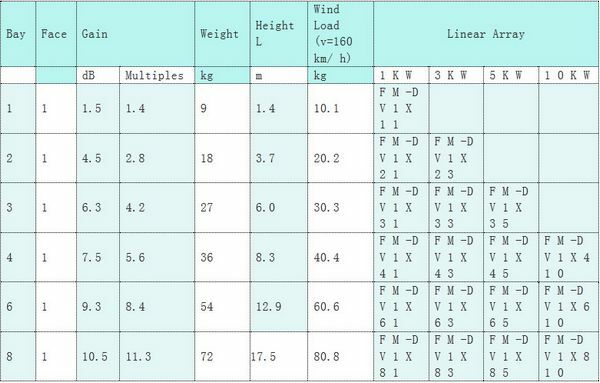 FM-DV1 Dipole FM antenna technical parameters. This entry was posted in FM antenna, Products and tagged fm antenna, FM transmitter. Bookmark the permalink.